BT Sport App powered by deltatre, part of Bruin Sports Capital group, is showcasing 42 Premier League 2016 and 2017 matches exclusively to subscribers. Proprietary digital software solutions by deltatre produce an enhanced EPL fan experience for streaming live games, highlights and breaking news on iOS and Android as well as on demand. The Sports Techie community blog has followed the sports technology achievements by deltatre as they continue to scale their global sport and tech media services to broadcasters and their fans throughout Europe, England and the world. 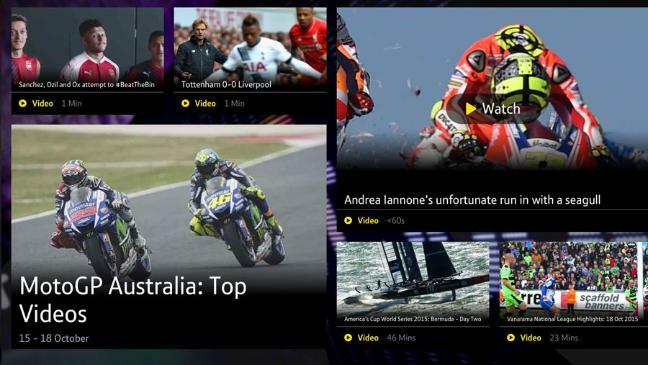 BT Sport subscribers with a BT ID can download the BT Sport app enabling real-time streams, archived videos and unique shows to their iOS, Android or Windows 10 smartphones and tablets. Watch Live Premier League Football Action On BT Sport App Powered By Deltatre – Sports Techie blog. This professional football business news out of Turin, Italy today follows up on the successful streaming of the 2015/16 UEFA Champions League football event and the UEFA Europa League by deltatre via the BT Sport app. Diva is deltare’s award winning video player implemented by broadcasters at international sporting events such as the Rio 2016 Olympics and Paralympics. The BT Sport app uses overlays and time markers provided by an OPTA data feed to give users instant Premier League access to 25 different real-time camera angles displaying gaming action overlaid with insightful statistics, analytics and graphics. The custom soccer menu has team stats, lineups and passes, tactics and commentary. This premier level of fan engagement delivered over Diva allows subscribers to have access to key moments, goals and penalties of Premier League matches, viewable over and over again on their Apple iPhone and iPad, and Google Android, or Microsoft Windows 10, mobile device. Enjoy individual player heat maps, distances run and top speeds, also analyze pass completion percentages for short, medium and long passes. Video is only available in the UK and restricted over two concurrent video streams per BT ID. Every Champions League and Europa League match is live on the player. BT Sport Pack subscribers have access to any of these games or can watch highlights at any time, post-game. 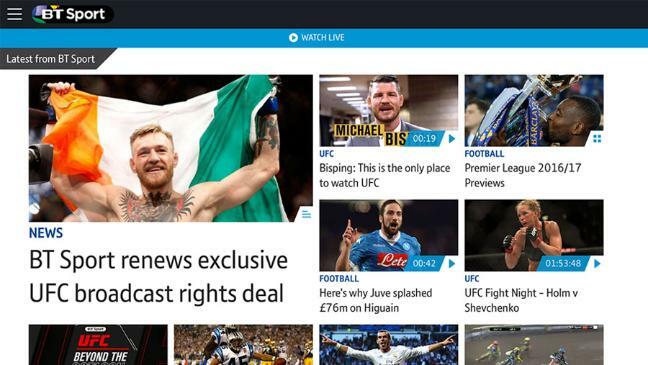 The BT Sport app delivers news from the sporting world, additional exclusive video content and previews of upcoming shows via the robust BT Sport ‘Watch Now’ program guide. 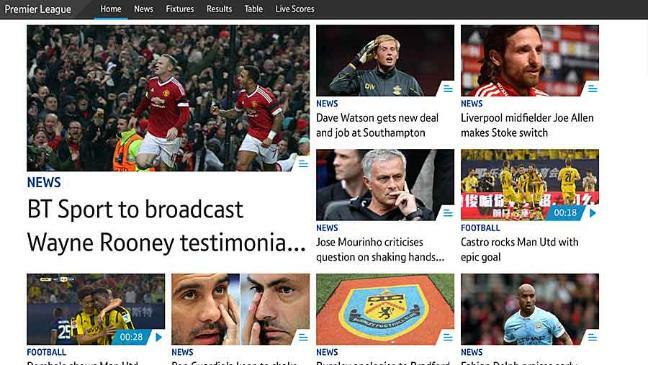 Subscribers have the option to watch the latest events screened on BT Sport Extra, their red button service. 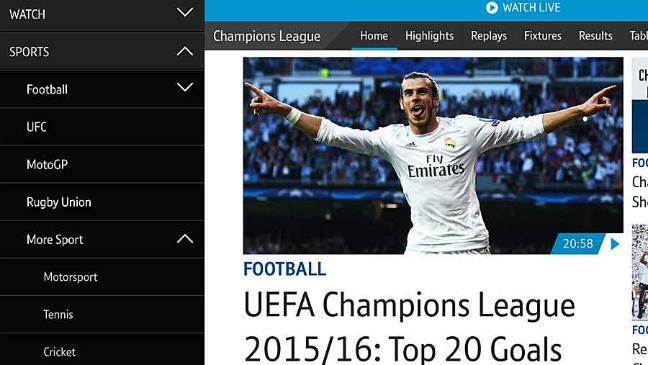 Some programming is not available through the BT Sport app due to rights restrictions. Not all features are currently available on Windows 10. Note, mobile network and wifi charges may apply. Part of the Bruin Sports Capital group, deltatre is a global leader in the sport business providing a comprehensive range of digital and broadcast solutions for the world’s largest sport events, federations, media partners and brands. Sports Techie, the digital fan experience delivered by deltatre is truly cutting edge. Soccer fans throughout the UK enjoy access through the BT Sport app to Premier League digital features and footage distributed the way you want it and where you want it. Use the app as a primary or second screen at home, work, on vacation, or inside the stadium, and watch your favorite squad, players, coach, and BT Sport programming. If you play fantasy football known as fantasy soccer here in the United States, this loaded sports technology application is a must have. Enjoy engaging with EPL video content on matchday or another other day of the year on the BT Sport app, thanks to deltatre.